How To Deep Clean A Mattress | Essentia | Organic Essentia Mattress Inc. 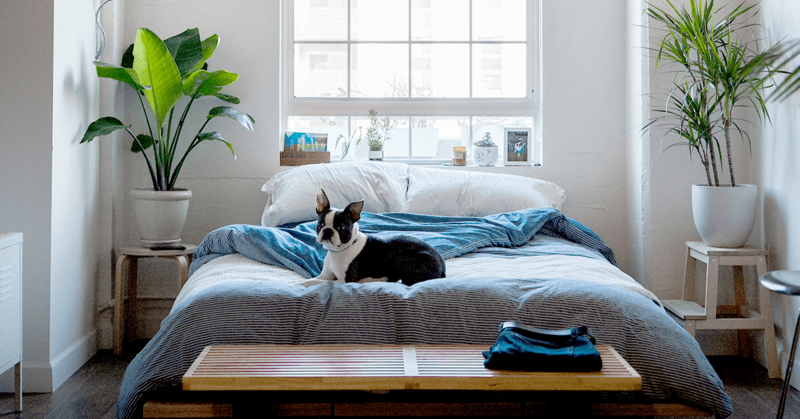 Selecting the right mattress for your body and lifestyle is the first hurdle of owning a mattress, but once you have purchased a mattress, how do you maintain it and clean it? Many people do not realize that there is a process that should be followed to give your mattress the basic maintenance it needs and to clean it in the event that there is a spill that penetrates into the mattress. If you have experienced a spill on your mattress, or you want to learn how to preventatively maintain the sanitation and cleanliness of your mattress, this introductory guide on how to clean a mattress will be a useful informational tool to utilize. Below are the basic steps on how to clean a mattress. Many people do not realize that they need to clean their mattress to keep it clean over the course of its lifetime. The average person spends roughly one-third of their life on their mattress, making it an extremely important household item to keep clean and sanitary. Your face and body will be in close contact with your mattress while you sleep, which means that any dirt and allergens trapped in your mattress will be inhaled by your as you sleep. By cleaning your mattress regularly, you will be able to prolong the lifetime of your mattress and reduce the presence of allergens in your bedroom. In the event that there is a spill that penetrates into the mattress, it is vital that you clean the spill as soon as possible to prevent staining on the surface of the mattress, or depending on the substance spilled, the growth of mold. While the steps to clean your mattress will be affected and dictated by the type of mattress you have, there are a number of overarching steps to keep in mind as you consider cleaning your mattress. In each of the steps below, the potential points of differentiation based on mattress type have been identified to help you take the right steps for your mattress. Luckily, the steps to clean your mattress are relatively simple and are not time-consuming, making this an extremely beneficial activity to integrate into your household cleaning routine to keep your mattress fresh and clean over the course of its lifetime. Strip the Bed: Before you can begin cleaning your mattress, you must first remove all decorative items on the surface of your bed. Examples of common decorative items on beds include blankets, pillows, decorative pillows, and other objects. Remove the pillowcases from the pillows you sleep on each night and move all blankets, decorative pillows, and other objects off of the surface of the bed and into a separate room or area in the bedroom where they will not interfere with the cleaning process. Set the pillowcases aside to be included in the laundry. Remove the Linens: Once you have stripped the bed of all decorative items on the surface, the next step is to strip the bed of its linens. This includes the fitted sheets, top sheets, blankets, and any type of mattress protector you may have on your mattress. If you are using a duvet cover, remove that from the comforter as well and include it with the rest of the linens. Combine these linens with the pillows cases your previously removed from your bedding. Wash the Bedding: Once you have stripped the linens and bedding from your mattress, it is vital that you wash the linens to keep your mattress clean and fresh. This step can take place while you are cleaning the mattress so that by the time you are done cleaning the mattress, it will have fresh sheets and bedding ready for it. It is important that you read the care label before you wash your bedding to make sure that your bedding does not shrink or become adversely affected in any way. For example, if your mattress cover is made from organic cotton, such as Essentia’s Global Organic Textile Standard (GOTS) certified organic cotton cover, then it will need to be washed in cold water using only a mild detergent. Additionally, it will need to air dry as the heat in a dryer can cause organic cotton to shrink. While dust mites and critters cannot live in an Essentia mattress because of its unique composition, there are many other mattresses on the market that can house such infestations. If your mattress has bacteria or dust mites, then it may be better to wash your bedding in the hottest water and dryer settings possible to kill them. Analyze your situation, mattress condition, and the care labels on your bedding and proceed after conducting an analysis of which path forward will be most beneficial. Be sure to read all care labels prior to washing your bedding to make sure that your linens do not shrink or become compromised. Vacuum Your Mattress: If everything has been removed from your mattress and your bedding is in the wash, you are now ready to begin cleaning your mattress. The first step to cleaning your mattress is to vacuum the surface of your mattress to make sure that all dust, dirt, dead skin, hair, and other debris on your mattress is removed. Before you begin vacuuming on the surface of your mattress, make sure that the attachment and vacuum are properly cleaned so that they will not damage or dirty the surface of your mattress. You will likely have to use different types of attachments to get into the various nooks, crannies, and seams on the surface of your mattress. For example, a wide brush attachment may be best suited to vacuum the top of the mattress, while the long nozzle attachment may work better for cleaning the corners, sides, and piping. Use your best judgment and test areas to make sure that the vacuum is not harming the surface of the mattress. Address Spills Swiftly: If you have spilled a substance on your bedding that has penetrated through to the mattress, it is imperative that you address the spill quickly to help prevent staining or the growth of mold (depending on the substance spilled). If you have spilled a liquid on the surface of your mattress, the first step is to absorb the excess liquid with towels. Be sure not to rub the liquid around, simply press down gently and allow the excess liquid to soak into the towel. Once you have soaked up any remaining liquid to the best of your ability, get a clean towel or cloth and dampen it with a small amount of water. Using the damp cloth, begin to clean the affected area using a dabbing motion. Be sure to avoid using any rubbing motion as this can push the liquid deeper into the mattress. If you find the damp towel or cloth you are using becoming overly saturated in the spilled substance, get a fresh towel or cloth and dampen it so that you do not spread the spill and push it into the mattress. Once you have cleaned the affected area with a damp towel or cloth, get a dry cloth or towel and dry the affected area by gently pressing down. Allow your mattress to air dry until it is completely dry to the touch. It is important to note that you should not use any type of cleaning products on the surface of an Essentia mattress as cleaning products may damage the foam. Mattresses are not designed to get wet, so be cautious with how much liquid you are using when cleaning a spill on your mattress. If you have a biological stain on your mattress and cannot get the stain out, it may be beneficial to use an enzyme cleaner to combat the stain. An enzyme cleaner will be able to break down the proteins on biological substances, such as blood, sweat, urine, sweat, vomit, and other biological stains. Enzyme cleaner may also aid in grease and oil stains. Do not simply spray enzyme cleaner directly onto the surface of the mattress; instead, spray the enzyme cleaner onto a clean cloth and gently blot the stain with the cloth until it is saturated. Once saturated, allow the enzyme cleaner to sit on the stain for fifteen minutes. Then, blot the stain with the same cloth to remove the staining substance. From there, get a clean cloth and dampen it with water before blotting the area. As mentioned above, if you have an Essentia mattress, do not use any type of cleaner, including enzyme cleaner, on the surface of the mattress as this can harm the foam. Be sure to consult the care instructions for your mattress before proceeding to clean any stains. Deodorize the Mattress: Some stains may leave a lingering scent that can be unpleasant, so you must deodorize your mattress to completely rid the mattress of any lingering smell. After you have followed the above steps to address the spill, go grab a container of baking soda. Once you have a container of baking soda, cover the spot where the spill occurred liberally with the baking soda. Baking soda will help to absorb any excess liquid from the mattress and rid the mattress of odor. If you want to deodorize your entire mattress, you can sprinkle a dusting of baking soda across the entire surface of your mattress. To distribute the baking soda most evenly across the surface of the mattress, utilize a sifter when applying the baking soda. If you want to give your mattress an additional fresh scent, you can also combine the baking soda with a few drops of your favorite essential oil before sprinkling it onto the surface of the mattress. To allow the baking soda adequate time to absorb any lingering odors or liquids, allow it at least thirty minutes to penetrate into the mattress. If you have the time, you can leave the baking soda on for several hours which will give it additional time to absorb smells and liquids, break down acids, and clean the mattress. Once at least thirty minutes have elapsed, you will need to remove the baking soda from the surface of the mattress. The simplest method for removing the baking soda is simply to vacuum the surface of the mattress. As you vacuum away the baking soda, you will also be removing the odors, acids, and liquids that the baking soda absorbed while it was sitting on the mattress. Be sure to use all of the attachments you need to get the baking soda out of all crevices and crannies in the mattress. Allow the Mattress to Air Dry: After you have finished cleaning and deodorizing your mattress, it is best to let it air dry and allow the UV rays of the sun to kill any remaining bacteria and dry any remaining liquid to prevent mold growth. Flip or Rotate Your Mattress: Once your mattress is completed clean, it is a good idea to flip or rotate your mattress as a part of its basic maintenance routine. Keep in mind that if you invest in an Essentia mattress, you can skip this step since there is no need to flip or rotate an Essentia mattress, which saves you time and effort. Apply a Mattress Cover: Investing in a mattress cover is a great way to help protect and preserve your mattress. A high-quality mattress cover will protect your mattress from spills, stains, dust, dirt, and even bed bugs. A mattress cover will encase your mattress and will help to keep it in pristine condition. Make Your Bed: Your mattress is now all ready to be made back into your bed. Grab your bedding and linens from the laundry and make your bed as you normally would. Before you place the fitted sheet back on the bed, make sure to feel the mattress to verify that no moisture remains. Then, enjoy your fresh, clean bed! In the market for a new organic mattress? Browse our selection of premium products today!